Mumbai: Over 180 students and mentors from across Maharashtra, Punjab, Madhya Pradesh, Tamil Nadu, Delhi, Karnataka, Gujarat, Andhra Pradesh and Telangana competed to design tech solutions in the 36 hour non-stop Smart India Hackathon 2019 on S.P. Mandali’s Prin L. N. Welingkar Institute of Management Development and Research (WeSchool), Mumbai’s only nodal centre. Participants from various Institutes in Delhi, Punjab, Tamil Nadu and Maharashtra won Trophies and Prize Money of Rs 1, 00000 to Rs 50,000. 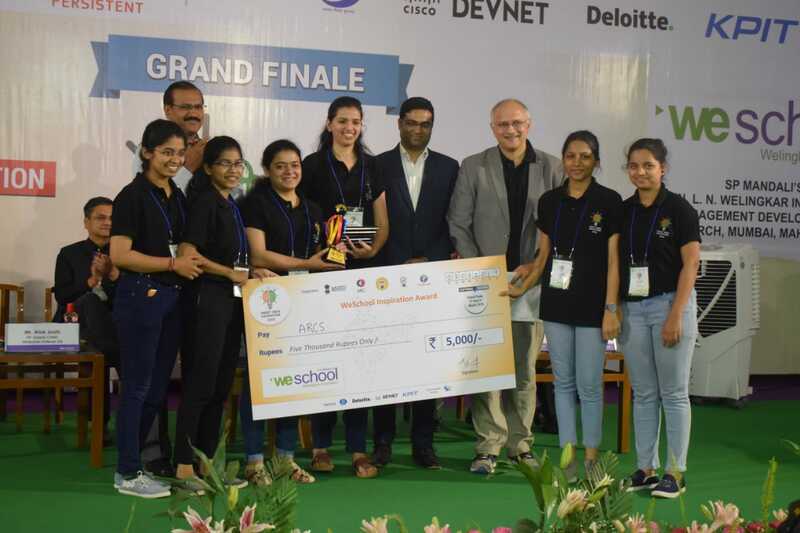 Boosting student morale were WeSchool Inspiration Awards awarded to seven teams from Haryana, Punjab, Maharashtra and Telangana. For Smart India Hackathon 2019, some of the themes for problem statements are Smart Communications, Healthcare & Biomedical devices, Agriculture & Rural Development, Robotics and Drones, Waste management etc. Nationally, Smart India Hackathon engages around a lakh of technical students, 3,000 technical institutions and over 200 organisations, India. Shri. Prakash Javadekar, Hon’ble Minister, Ministry of Human Resource Development, officially announced the opening of the Smart India Hackathon 2019, in an inaugural video speech in Delhi, along with Prof. Anil Sahasrabudhe, Chairman, All India Council for Technical Education (AICTE) and Dr. Anand Deshpande,Chairman & MD, Persistent Systems and Co-Chair, Organising Committee, Smart India Hackathon 2019. WeSchool is the only B-School in Maharashtra to be associated with Smart India Hackathon 2019. The institute is hosting the Smart India Hackathon- Software Edition, Grand Finale, for the third year in a row. 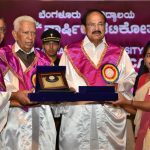 For the valedictory function, officials present from Hindustan Unilever were, Mr. Ganesan Kannan, Director, Finance; Mr. Suhas Devaraju, CIO; Mr. Shailendra Singh, Digital Transformation Lead, Personal Care; Mr. Alok Joshi VP, SCM and also the Chief Guest of Honor for valedictory and Mr. Zaved Akhtar, Digital Transformation Lead alongside Emcure Pharmacenuticals officials – Mahendra Darwatkar, also Guest of Honor for valedictory, DGM-IT, Mr. Sheril Jose and Sweta Negi. Dr. Anand Deshpande Founder, Chairman and Managing Director of Persistent Systems, Prof. Dr. Uday Salunkhe, Group Director, WeSchool; Mr. Adesh Gokhale, Nodal Head, AICTE; and Dr. Amit Dutta, Western Regional Officer, AICTE; and Ms. Vaniki Joshi, Assistant Director, eGovernance, AICTE were present on the occasion. Smart India Hackathon 2019 is a nationwide initiative to provide students a platform to solve some of pressing problems we face in our daily lives, and thus inculcate a culture of product innovation and a mind-set of problem solving. Smart India Hackathon 2019 is an initiative by Ministry of HRD, AICTE, Persistent Systems, i4c and Rambhau Mhalgi Prabodhini.